Neutralise yellow with this sulphate-free shampoo. 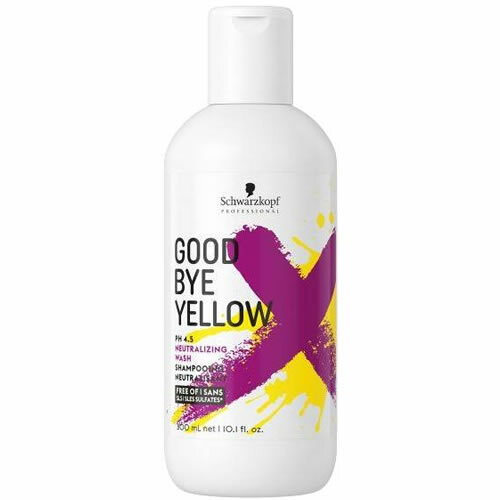 Schwarzkopf Goodbye Yellow Shampoo is a neutralizing shampoo that gently cleanses while providing a tonal deposit that prevents and neutralizes underlying warm tones. 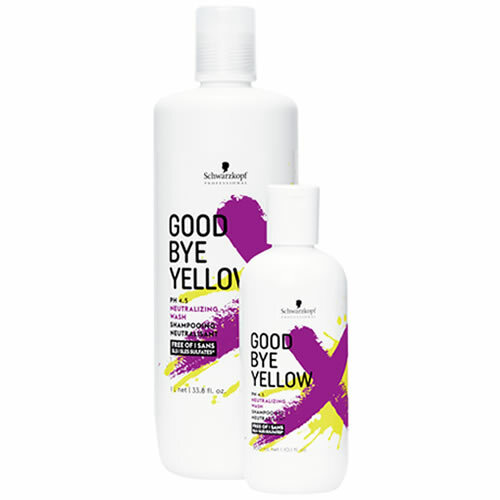 It has a strong-pigmented formula that means your clients really can say goodbye to yellow glow in their hair! 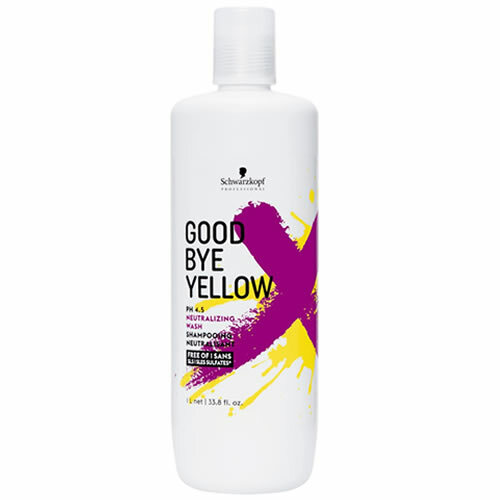 Facing a pH level of 4.5, and a combination of blue and purple direct dyes, the days of unwanted yellow undertones are numbered! Your clients can look forward to long-lasting results. Simply leave to work for up to 5 minutes, then rise hair well. Available in 300-ml or 1000-ml bottle. £9.12 (inc. VAT) Why no VAT? We're a trade wholesaler and quote our prices without VAT to help our VAT-registered customers understand the true cost of a purchase.